Some roads in North Central Idaho could take more than a year to rebuild following significant flooding in the area, according to a staff member with Idaho Gov. Brad Little’s office. Last week, Gov. 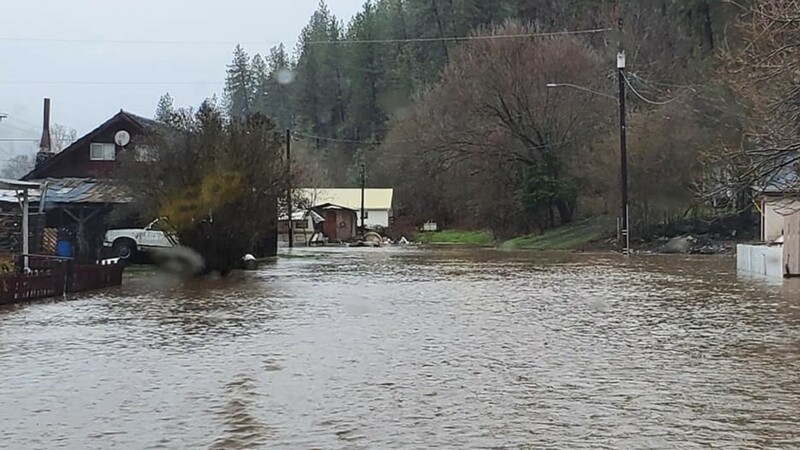 Little declared a state of emergency for both Idaho and Adams Counties in response to significant damage due to the flooding. A state disaster declaration makes state matching funds available to assist counties with emergency response and repair of publicly owned facilities. Gov. Little visited North Central Idaho over the weekend, flying into Grangeville and then driving to Stites, according to policy advisor Louis Hougaard. Gov. Little tweeted about the visit, saying he saw the “devastating” effects of spring flooding firsthand. He included photos of the damaged roads. “Thank you to the citizens, counties, emergency responders, Idaho Office of Emergency Management, Nez Perce Tribe and Idaho National Guard for their quick and dedicated response,” he wrote. Gov. Little was able to interact with both emergency management teams and residents during his visit to North Central Idaho, Hougaard said. “I think that one of the aspects of his visit that made it beneficial is he was able to spend a lot of time with individuals in the towns,” he said. The south fork of the Clearwater River running through Stites reached record levels and sat at 10.79 feet last week, according to a spokesperson for Lewis County. The previous record of 10.3 feet was set in 1964. 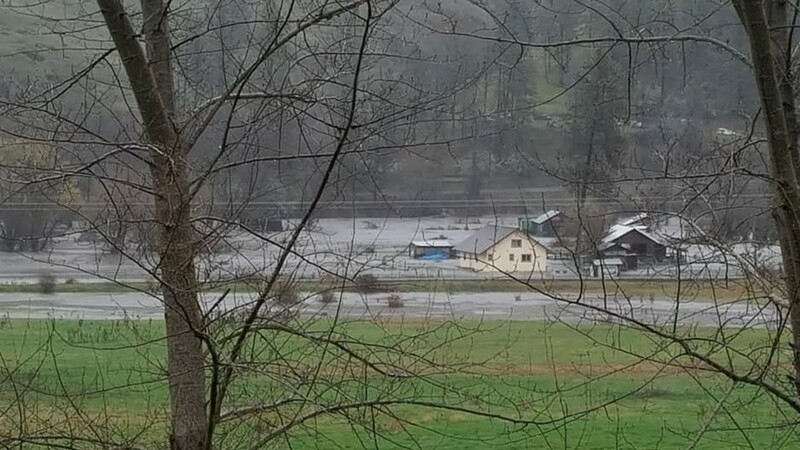 KREM viewer Diane Britton sent photos of the flooding in both Stites and Kamiah last week. Hougaard said Stites experienced flooding through most of the town. In Kamiah, Idaho, Gov. Little saw roads washed away by flooding and landslides that collapsed roads. Those roads could take upwards of a year to rebuild. County commissioners and state leaders are waiting for an official assessment of damage to roads from the Idaho Transportation Department. Hougaard said ITD will determine if the infrastructure in North Central Idaho could be better prepared for another flooding event. This year’s wet rain and snow was a rare event – one that Hougaard said many are saying happens once every 200 years. He said this contributed, in part, to road damage. 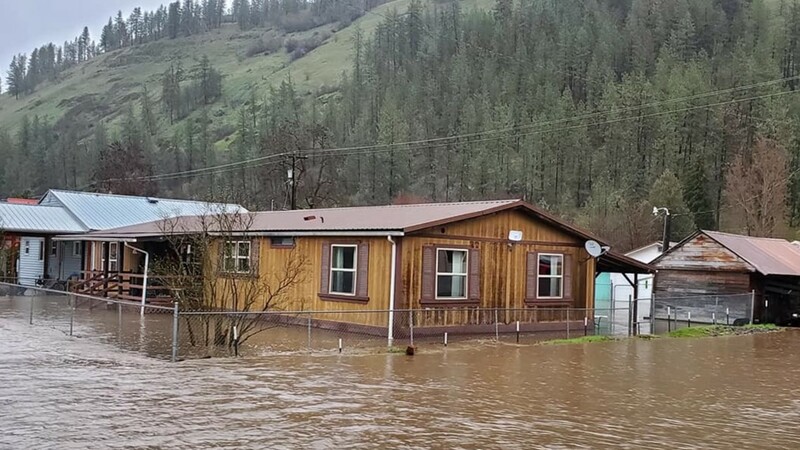 “North Central Idaho really did take a beating with this flooding,” Hougaard added. The ITD continues to warn drivers about hazardous road conditions in the area. Highway 12 is reduced to one lane between Smith Creek Road and Selway River Road due to a mudslide. The ITD is urging drivers to look out for fallen trees and drive with extreme caution. This area is about 13 miles from Kooskia. Drivers should also use caution and look out for surface water on Highway 12 between Harris Ridge Road and Selway River Road. Falling rocks may also pose problems on Highway 12, according to the ITD. The ITD is also warning drivers about falling rock hazards and wet pavement on Highway 95 near the White Bird area. 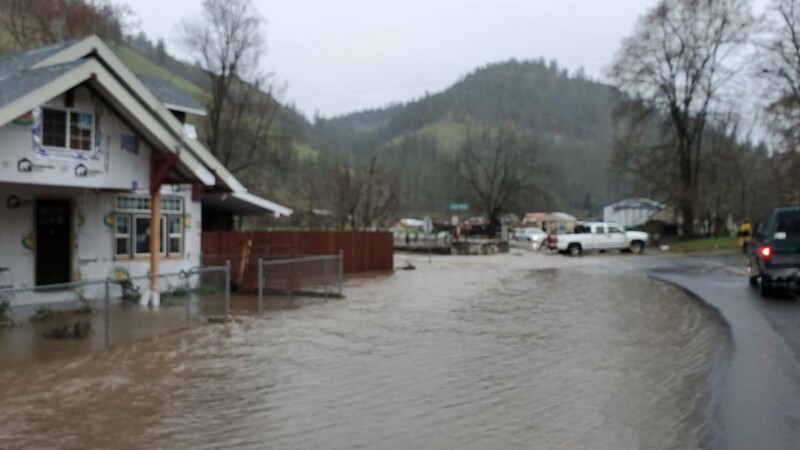 Last week, the Nez Perce Tribe’s executive committee also declared a state of emergency due to heavy flooding on or near reservation land. 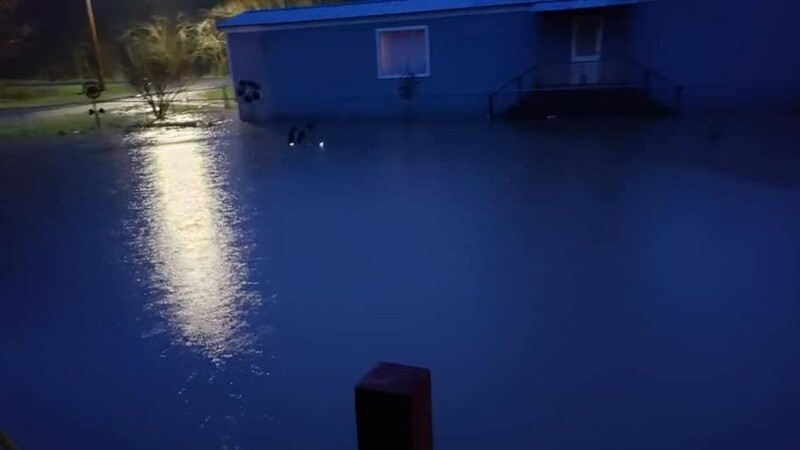 Since then, the tribe has been working with the state and counties, as much of the flooding that impacted the reservation affects a network of roads, Hougaard said. At a recent briefing, the tribe described flooded homes and road closures on the reservation. “I think it was pretty much synonymous with the extent of the damages around them in the state,” Hougaard added. The City of Pullman also issued of state of emergency last week following significant flooding. A handful of businesses in Pullman closed after flooding caused extensive damage to the area. Moscow, Idaho also saw its highest flood waters on record due to heavy rains. The rainfall caused Paraside Creek to surge, flooding several homes and businesses. Roads in the city were closed and homeowners worked to clear out their homes while waiting for insurance companies to look at the mess.